This patient presented with heavy upper eye lids and excess skin. She had bags under her eyes that created dark shadows. Her skin was sun damaged. 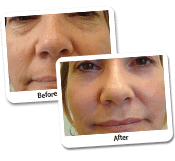 She had volume loss in her cheeks and crease around the eyes, frown area and forehead. 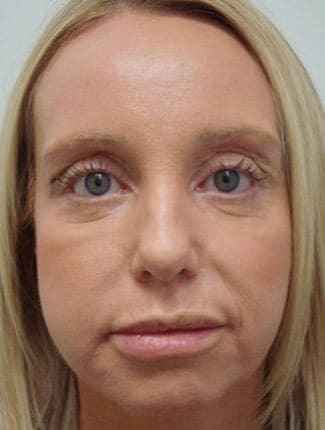 This is the patient post both an Upper and Lower Blepharoplasty, full face Erbium laser resurfacing, a Suture Lift, Neck Liposuction, muscle relaxants and fillers. Her eyes are no longer hidden under excess skin. She has a naturally defined upper lid crease. Her cheeks are now fuller and less sunken. The heaviness around her jowl area has reduced. Her skin texture and appearance has improved and the muscle relaxants have helped smooth her fine lines on her upper face. This case is certainly one of the most striking examples of what can be achieved with Face Makeover Before & After Photos (4) surgery. This lady does highlight premature aging. Premature aging happens for a number of reasons. Firstly, there is excess sun damage. Therefore, the face becomes mottled with pigmentation. Frequently you find wrinkles. 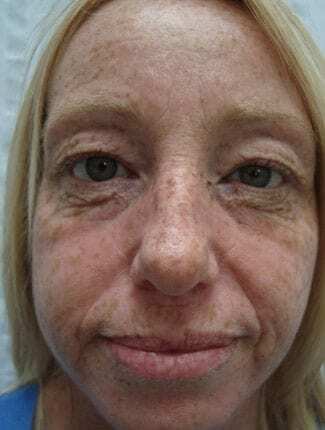 In this case there is a lot of pigmentation and fine lines over most of the face which creates the appearance of a person much older than their biological age. Secondly, changes around the eyes make patients look older and tired particularly on the upper eyelid one like to see a full upper lid which gives a rejuvenated appearance as opposed to skin pushing the lids forward. The other area which can cause premature aging is the lower lid where there is a collection of fat and wrinkles. This creates excessive shadows that also make patients look older than their natural age. The third area where I find people prematurely aging and therefore requiring surgery such as face makeover is due to a loss of volume. Some patients lose volume particularly in their cheeks. This causes drooping and sagging around the mouth. This often leads to the requirement for facelift surgery. 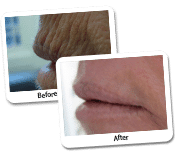 Other causes of premature aging can be just a loss of volume in the lips where a filler may be of benefit or a change in the angle of the neck. A fat neck which is often referred to as the turkey neck also makes people look older. WHY DO PATIENTS END UP NEEDED FACE MAKEOVER? 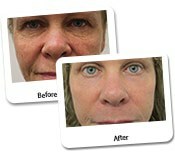 Face makeover is a procedure that Dr. Lanzer chooses when there is a combination of factors that need to be corrected. Sometimes this may be laser resurfacing for the skin texture, a facelift or suture lift for the drooping of the skin and blepharoplasty for the eyes. 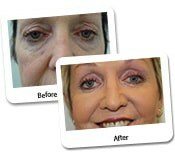 WHAT IS THE ADVANTAGE OF A FACE MAKEOVER/FACELIFT AS OPPOSED TO A FULL FACELIFT? 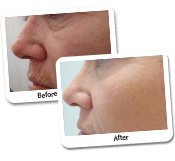 Dr. Lanzer’s goal with a makeover is to combine less invasive procedures to give an overall natural dramatic result. Sometimes patients do need a more invasive deep facelift, but that does not necessarily mean that they will have a better result rather than undergoing multiple procedures. WHAT IS THE GOAL BEHIND A MAKEOVER? The goal behind a makeover is to focus on each individual problem that may be present. This means that Dr. Lanzer will address factors such as skin texture, changes around the eyes, changes with regard to facial structure and drooping, changes related to lips and shape, changes related to muscle overactivity, and changes related to the neck profile. DOES MAKEOVER ALSO INVOLVE THE BODY? There are surgical makeovers that involve the body such as the “Mommy makeover”. This is when Dr. Lanzer performs a lipo-tuck, breast implant, and possibly breast lift. 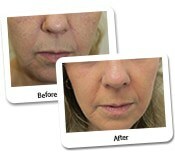 HOW OLD ARE PATIENTS WHEN THEY MAY HAVE FACELIFT/MAKEOVER? 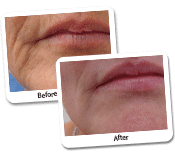 There is no age limit with regards to cosmetic surgery. Some people age prematurely and may have the surgery in their 30’s or 40’s. The most common age would be 50’s or 60’s. Some patients have makeovers in their 70’s and 80’s. Today, patients are living longer and are healthier and seek cosmetic surgery at a later age than we saw 20 years ago. Dr. Lanzer operated on a 74-year-old lady some 20 years ago and there was a lot of interest in the media as people could not believe that an older person wanted surgery. Today, this is really the norm. DO I NEED TO DO A FACE MAKEOVER/FACELIFT ALL IN ONE GO? 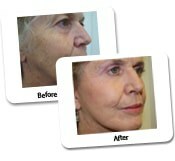 Facelift and makeovers can be done in sections. This may require coming back for multiple different surgeries. Often it comes down to how much down time a person has and how much they want to spend at a usual visit. There is nothing wrong with doing the procedure in stages over a staggered period. IF I HAVE THE PROCEDURE IN STAGES, HOW DO I DECIDE WHICH TO DO FIRST? Dr. Lanzer will be the one to assess what is going to be the most important procedure in your facelift makeover procedure. 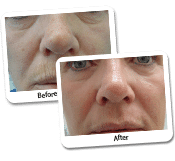 Sometimes it is more of a skin texture in which case laser resurfacing is the option. 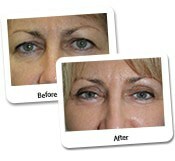 At other times it would be eyes or the drooping which would be blepharoplasty or the actual face lift surgery. DO I NEED TO BE ASLEEP FOR THE MAKEOVER? Dr. Lanzer does most of his procedures either awake or asleep. Ultimately it is your choice based on consultation with Dr. Lanzer and his nurses. DO I NEED TO SEE DR. LANZER IN PERSON BEFORE SURGERY? Yes. Dr. Lanzer insists on having a consultation with all patients before they have surgery. Sometimes this consultation can be done on the phone after he has examined your photos or through stype or other digital technology. Click here for more makeover solutions.